Sustaining good governance is necessarily required for all countries in the world after the phase of globalization, especially when almost the entire world is struck by the global financial crisis originated from the USA. The present study tries to concentrate upon establishing an interlinkage among capital accumulation of a sample of countries with principal components of governance for the time period 1996-2012. Correlation analysis along with the Granger Causality test is applied to identify directions of causalities among capital formation and all the governance indicators. The study observes an inverse relation between governance indicators and capital accumulation for majority of the developing countries and in some cases positive relations for developed countries. Besides, it is observed that there are causal relations from capital formation to governance in most of the developed countries whereas in most of the developing countries there are causalities from governance to capital formation. The occurrence of the global financial crisis during 2007-09, originated from the USA because of the housing sector bubble bursts and spread to other countries via different channels, has affected the chain of actions between growth and its determinants of different status of countries of the world. Failure of governance, among other factors, may have caused the disturbance that affected growth rates of output along with other related variables like capital formation/investment, consumption spending, etc. Governance refers to all process of governing, whether undertaken by government, market or network, whether through laws, norms or powers. Governance occurs in three broadways: a) through top-down methods that particularly involve governments and state machineries b) through the use of market mechanism where market principles of competition serve to allocate resources operating under government regulations in optimal way c) through networks involving public-private partnerships. It is obvious that some of the countries inherited British colonial state of affairs and pro-people massive reformation in governmental activities is not noticed as they, developing nations in particular, kept much of the governance structure intact. Lack of transparency, accountability undermines pro-people development since public servants become their own masters with little responsibility. Many inflicted countries are facing man made crisis of governance during the last two or three decades, the administrative system is now largely non-functional and unresponsive to the social and economic priorities of the developing countries in particular. Nobody cares about urgently needed structural reformation in the component parts of the governance. Recommendations of several commissions have become unimplemented when simplifications of procedures, reduction of administrative layers are complementary to today’s growth and development. Commission and omission work well traditionally signifying zero or negative output to the nation since salaries to the members of commission and establishment cost of executing commission matter much to a nation. The decay in the county’s administrative and public distribution systems has affected the wellbeing of the poor people generated black money. New institutional and constitutional initiatives are required to hold individual ministers accountable for efficient services to the public. 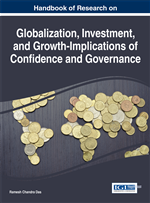 The scenario of the governance-structure in some developing countries after globalization has changed, but not up to the desired level that enables in pulling sizeable domestic investment and FDI too. Market-enhancing governance (Khan, 2007) might be underlined as the developed countries are able to reduce the transaction cost as well as today’s massive level of corruption. In contrast, less developed countries usually follow growth-enhancing governance that focuses on effective institutional systems for accelerating the process of transfer of assets and resources to more productive sectors with the help of updated technologies. Broadly speaking, it has two broad approaches: market-enhancing as well as growth-enhancing governance. Private investors would be comfortably in driver’s seat if the government can ensure efficient market with desired market incentives and adequate security. It is, no doubt, a dominant paradigm in the face of today’s international development. The sizeable market incentives for the provocation of investors is directly related to rule of law, regulatory quality, protection of property rights, effective machineries for reduction or control of corruption, commitment to the non-expropriation. Markets mediating resource allocation in any country become more efficient to speak of. The supply of public goods is to be done by the state, not by the private sector. The credibility of the government is reflected through watertight and compact legal system.